In August, some CHS students will leave Carrboro for more unconventional programs, including United World Colleges (UWC) and Global Citizen. Bella Larsen, junior, is one of those students. Starting this fall, Larsen will join the United World Colleges in New Mexico for a program spanning two years. UWC consists of schools and colleges in 17 countries, with one school in the U.S comprised of 75 percent international students. According to Larsen, UWC students described every day as culture shock because they met several people from different backgrounds. The curriculum for 16 to 19 year olds is based on the International Baccalaureate (IB) Diploma Programme. Students choose to study one of the six following courses: language and literature, language acquisition, individuals and societies, sciences, mathematics or the arts. Other CHS students will travel outside the U.S through a program called Global Citizen. Global Citizen, which functions as a gap year program, spans over nine months. Applicants rank their preference of the four countries offered by the program: Senegal, India, Ecuador and Brazil. Senior Leo Salvatore will spend his nine months in Brazil, and hopes to be influenced by its musical culture. Within the first month of arriving in their country, participants will take part in apprenticeships within the community. Aside from the experience participants hope to gain, other important factors included cost. Luckily, UWC offers blind need for all students applying, and everyone receives a scholarship. And under Global Citizen over 80 percent of participants receive financial aid. For more information on Global Citizen, visit their website at https://www.globalcitizenyear.org, and learn more about UWC at https://www.uwc.org. 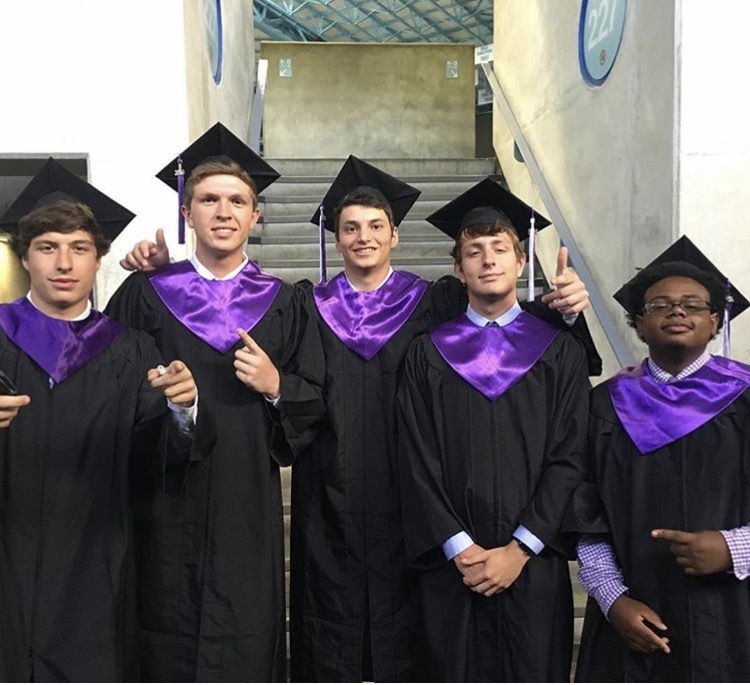 Carrboro High School graduation policies are changing for the upcoming school year. Next year will be the first year that CHS valedictorians won’t give speeches during the official graduation ceremony at the Dean Dome. At CHS, valedictorians are students who have received a 4.0 unweighted average throughout all four years in high school and have not taken any classes for a pass/fail grade. In the past, the administration would allow each valedictorian to give a short speech during the graduation ceremony. However, with the recent change in the grading scale from a seven-point scale to a ten-point scale, the number of valedictorian positions has rapidly increased according to Dr. LaVerne Mattocks, CHS Principal. In 2016, only eight students were named valedictorian, a stark contrast to the 22 whom the school will honor this year. Because of this increase, CHCCS decided to create a new ceremony, honoring the individuals for each school. “It has become a technical reason for us needing to change the ceremony. We need to sort out goals, either represent and honor the valedictorian students’ high achievements or to have each student give a one minute speech that’s crammed,” said Dr. Mattocks. Next year, CHS will hold a special ceremony at the school strictly for valedictorians, and families can attend. This will give recognition to all valedictorians without taking time away from the general graduation for all CHS seniors. On Tuesday, May 16, seven upperclassmen from the Honors Advanced Studies class presented a year’s worth of research on a topic of their choice to friends, family, students and staff. Their presentations covered a wide variety of creative subjects, including architecture, photography and two different types of animation—2D (traditional) and 3D. Each student met with a local mentor throughout the year who works in their field of interest. Julie Francis, the Honors Advanced Studies teacher, paired some students with adults she already knew wanted to participate in the exchange, while other students reached out to prospective mentors on their own. The project was entirely student-led with only minimal guidance from Francis. She explained that the presentations were so successful because they allowed students to explore something they are truly passionate about, no matter the subject. Senior Emma Richardson spent the year researching traditional animation, something she plans to continue studying in college next year at UNC School of the Arts. Her interest in animation comes from her passion for art (specifically drawing) and a desire to pursue this passion professionally. 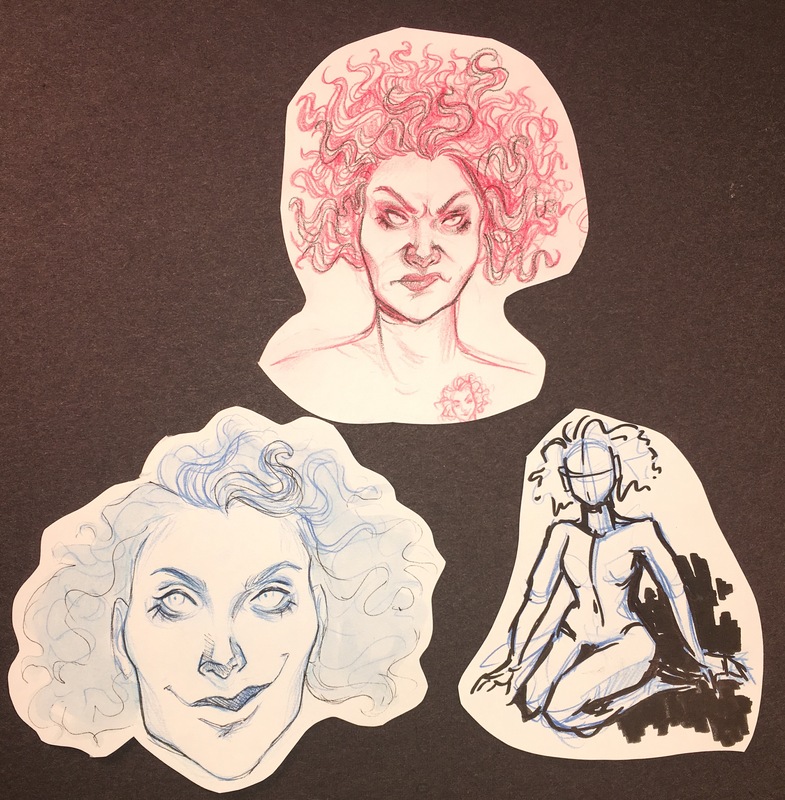 “I’m interested in the development of characters in stories, and I have a background in art, so I hope to apply this to to a job,” said Richardson. Junior Jack Clemens chose to study something he was less familiar with: web design. His interests come less from a professional goal and more out of curiosity. “[Web design] interested me, but I didn’t really know how to do it,” said Clemens. The students acted as professionals, dressing up in business attire and wearing microphones in order to be heard by the auditorium’s sizable audience. Principal Laverne Mattocks and Vice Principal James Hopkins both attended the presentations and asked the students questions. During her presentation, Richardson explored older and newer technology for traditional, 2D animation. She also talked about personal experience she has with different animation tech- niques and shared a storyboard for a character she created. 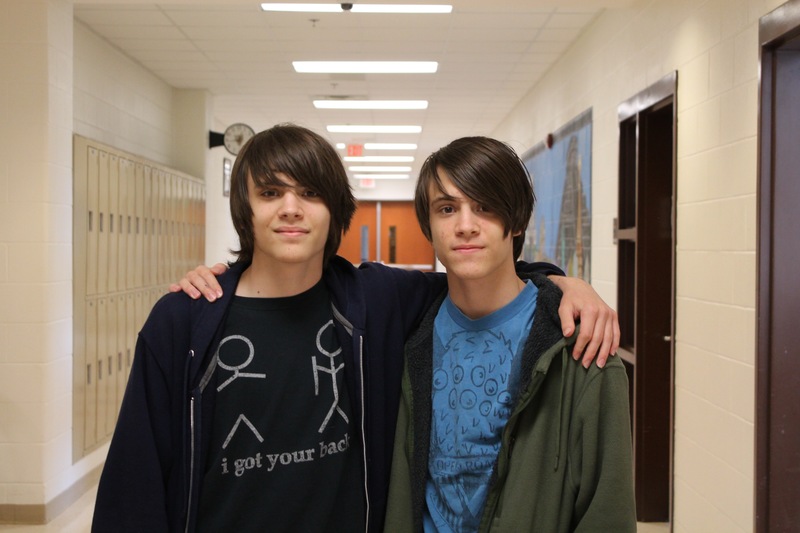 Junior Ethan Reid also focused the year on learning animation techniques, but he studied 3D animation. He explained the differences between 3D and 2D, as well as important movement patterns to keep in mind when creating a final product. Reid concluded his presentation with an example of a successful animation which follows the 12 rules for creating realistic 3D movement, as well as an unsuccessful example to contrast. Francis emphasized the fact that, for all the students, preparing for the presentations was no easy task. “They have been practicing really hard to show you what they learned this year,” said Francis before presentations commenced. Whether or not they plan to continue pursuing these passions, the students’ knowledge and engagement with the audience serve testimony to the amount of work they dedicated to their projects. School starts on August 29 and ends June 9. That is exactly 284 days out of a 365-day year. Of those 284 days, there are 204 weekdays and 40 weekends. That means you have at least 40 weekends to spend with your significant other outside of school, sparing people from seeing your very public—and unwelcome—displays of affection. Public displays of affection (PDA) have been shown in movies, television shows and social media throughout history in exaggerated ways. From the famous Titanic kiss scene to lovey-dovey couples on Instagram, this exposure to excessive amounts of PDA has normalized the act, making kids think it’s okay to smother their lovers in school. But, honestly, it’s just cringy, inappropriate and makes people uncomfortable. At CHS, there is no doubt that some couples are very confident in their relationships and often express that confidence by being very physical with each other in plain sight. “Whenever I walk out of class, I often see couples who are too close for comfort, and it makes me feel super uncomfortable. Honestly, it makes me not want to be in that area of the school,” said Kelley Gosk, sophomore. Usually, I wouldn’t mind if I accidentally see someone kissing, but it happens everyday, and on multiple occasions, PDA has turned my daily school experience from semi-positive to gross. Once, it was raining pretty hard, and I had all my electronics with me in my backpack. Like most underclassmen, I have to take the bus home, so I did a little half-jog to my bus from the the school, only to end up soaking wet because a couple was standing in front of my bus kissing. While I’m sure it was a very Nicholas Sparks-like moment for the couple, it was an annoying obstacle that made me cold and threatened the life of my laptop. Before you assume that I’m a terrible person or the Grinch of love, let me explain. A quick peck in between classes or a hug is totally acceptable and potentially cute. However, if you and your girl- or boy- friend are walking slowly down the hallway holding hands, batting your eyes at one another and blocking people from getting to class, it becomes an issue that needs to be addressed. Affection in private is sweet, but in public settings it can be obnoxious and irritating—even hazardous at times. School is a place for learning, not a place for romantic interaction. So next time you and your special partner decide to profess your love for one another publicly, try to be a little more considerate of people like me, who don’t want to be your involuntary third wheel. President Trump wasn’t even a full day into his term before millions took to the streets. These protesters shared an admirable vision of a world in which we share equal opportunity regardless of our gender. Many of those who marched were feminists who supported Hillary Clinton. 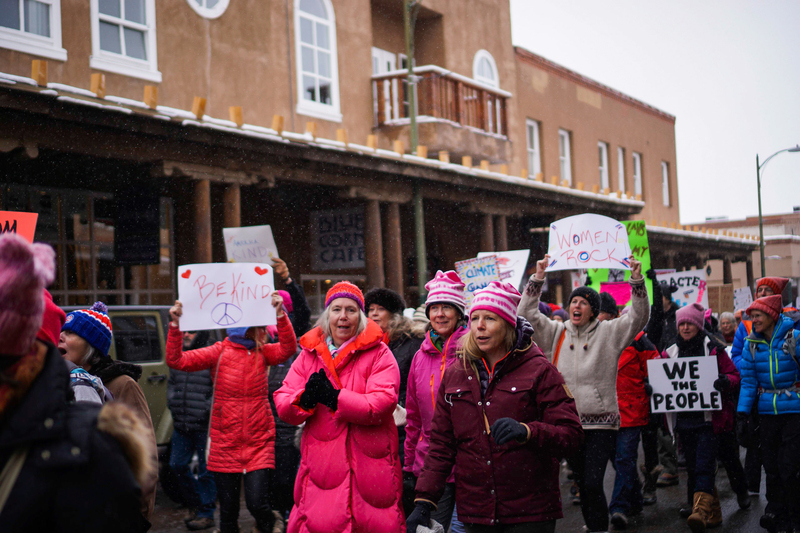 They marched to assert their commitment to her platforms: closing the wage gap, instituting paid maternity leave, confronting sexual assault and, yes, having the right to abortion services. They marched because they believe we are “stronger together”. Ironically, some of those who proudly wore this slogan on their t-shirts also banned pro-lifers from taking part. I initially sided with the pro-choice liberals; believing in a woman’s right to choose has long been a tenet of feminist activism. But we are in no position to turn away help. One in five college students believes not resisting a sexual advance is tantamount to giving consent. Our own president faces accusations of sexual harassment. Women still seek equal pay for equal work and, for those who have children, paid leave. Considering these facts, the challenge will require unyielding effort from a diverse people. If someone feels passionately about these issues, and if they want to act, why strip ourselves of the support solely because of an abortion stance? I am not saying that abortion should be ignored. Access to safe abortions is a topic about which I care deeply, and the topic is far from irrelevant to modern-day debate. Rather, I worry that division over a singular issue such as abortion, can easily detract from the big picture: gender equity. Let’s just look at the basics. No one wants to earn less money than they could. No one wants to be sexually assaulted. No one wants an unintended pregnancy. Those are just a few of feminism’s many common denominators, and I hope pro-choicers can keep them in mind. First and second-wave feminism spanned years and involved many people; third-wave feminism will too. Let’s actually be stronger together. When I saw advertisements for 13 Reasons Why on Netflix, I was full of excitement. This book was one of my favorites in middle school, mostly because it advocates for how teen suicide influences a community. I was happy to see a great book become a TV show that would highlight issues of mental health. But after watching the series, this was not the case. Whereas the novel delved into the mental health of Hannah Baker, the main character, the TV show instead depicted her suicide in a way that placed the blame on other people. If you haven’t watched the show or read the book, here’s some background: Hannah Baker was a teen in a small town who committed suicide. Before her attempt, she mailed out tapes to 13 people whom she felt had wronged her during her time at high school, essentially providing them with an explanation as to why she killed herself, but also placing one-thirteenth of the blame on everyone she sent the tapes to. When the tapes get to a boy who was in love with her, Clay Jensen, 13 Reasons Why shows you his response to everything Hannah went through. When I started watching the show, I thought it would be more supportive and helpful towards teens who may be struggling with depression, or even thoughts of suicide. Not only did the creators romanticize depression, but the show made it seem like blaming others for your suicide is an ‘ok’ and almost ‘cool’ thing to do. After Hannah initially sends out the tapes, you find out who they are sent to. Most of the people who received a tape were apart of the “popular” group. Her interactions with each person in this group portrayed Hannah as the ‘it’ girl with all these teenagers paying attention to her and giving her the response she intended to get: guilt. This show portrayed suicide as the ONLY option. The show made all of Hannah’s classmates seem rude and cruel, it made her parents seem careless and it made it seem like there was absolutely no one in Hannah’s life willing to help her. This sends out a blatantly false message to the audiences and discourages teens struggling with suicide to seek help, no person struggling with depression is going to get better without asking for help. Help is always available; someone always cares. This series also simplifies suicide to being able to blame one person for making the decision to end your own life. There is no straight path to suicide—it’s not clean cut and it’s not something to blame on a person or an incident that happened. Hannah’s mental illness is not even recognized in the series. Even though not everyone who dies from suicide suffers from mental illness, around 90 percent of people do. The reason behind Hannah killing herself was simply the people who surrounded her, which cannot be the only reason to take your own life. While a lot of the things Hannah had to deal with contribute to poor mental health (sexual assault, rumours, unhealthy friendships, etc. ), suicide is about more than being bullied—it’s not that simple. The moral behind the story is not portrayed the same way as in the book. When I read the book, it was clear to me that treating people kindly is essential, and what you say or do to others can really influence how they feel. No series is ever perfect, but when dealing with something as sensitive and emotional as suicide, there are a lot of aspects to take into consideration that the creators of 13 Reasons Why did not. Every year the students of Theatre IV produce a show that proves to be a culmination of four years of hard work; but this year’s 10-Year Anniversary Revue instead opts to look back even before the freshman years of the Theatre IV seniors. This upcoming spring show is a showcase of all the musicals and plays put on by the Carrboro High School Theatre Department in its ten years of performances. From the 2007 fall play of The Curious Savage to this year’s Cinderella, a scene from each play and a song from each musical have been included in this condensed summary of these past ten years of theatrical excellence. For senior Theatre IV student and Musical Director/Producer Julia Stamey, this show doesn’t come without its challenges. “The show order [is the hardest part]. All the shows are really fantastic on their own, but it’s been surprisingly hard to find a way to make every scene flow,” said Stamey. Initially the completely student run show was planned to pan out in chronological order, alternating between a scene from a play and a song from each musical for each year in the order in which they were performed. After carefully curating the order of these pieces however, the Theatre IV class has made certain that this variety show is a cohesive masterpiece. This an impressive undertaking given that every year the Theatre IV show is almost completely student run. 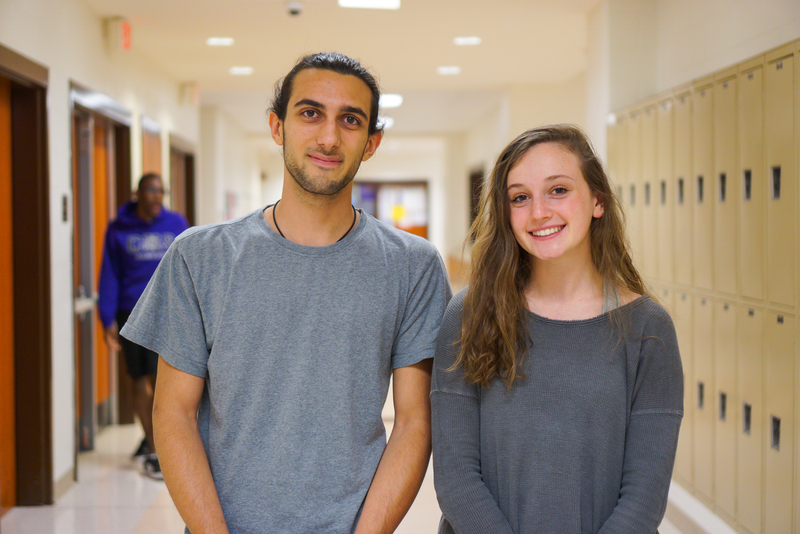 “It’s basically a huge final project, so it’s not completely independent because we have Ms. Stegall and Katie as resources. We’ll be receiving a grade and making major decisions; in the end it’s our project, for better or for worse,” said Stamey. From May 20-21 this medley showcasing the highlights of The Penelopiad to The Little Prince will be put on in the CHS auditorium. Diamond Blue, a junior at CHS, is currently leading a project called Coffee, a documentary showing how it feels to be a minority in today’s school system. Blue became inspired after the death of Trayvon Martin to immerse herself more in activism. The idea came to her freshman year, and since then Blue has been working to make this documentary tangible. Two of Blue’s closest friends, juniors Ella Atwater and Zac Johnson, are helping her to make this project possible. Their goal is to expose the injustice of the American school system towards minorities. “A lot of people from the outside are unaware of how sugar-coated the school system is,” said Atwater. The documentary will consist of a series of interviews. Blue plans to travel around North Carolina to different schools to get multiple perspectives. During her interviews, she tries to form real connections and ask personal questions, in order to make the accounts more direct and firsthand, rather than formatted and practiced. With her documentary, Blue is trying to express the different attitudes that students harbor about the school system and injus- tice in general. “I’m trying to convey so many different things. I’ve come to the realization that it’s hard to just focus on one thing. The more people I talk to, the more I realize that there are so many things that I need to showcase. When we go home, we all have different experiences,” said Blue. Blue will also be taking time over the summer to travel with her crew around the U.S., visiting different colleges and high schools. She has created a GoFundMe page to help with the expenses. According to Blue and Atwater, many people are helping out, including students from Duke and UNC who have been instrumental in both the interviews and the filmmaking process. Mr. Cone, a social studies teacher at CHS, has also been credited by Blue with opening doors for her to connect with important people that will help to launch this project. Mrs. Hilliard, Katie Moorhead, and Brett Stegall are other CHS faculty members who have contributed to the making of the documentary. This venture is a very personal one for Blue. She is passionately working to make it a success. While her timeline is tentative, she hopes to have a concrete film by the end of this year. Blue has garnered a lot of support, with some of the only backlash being about including her good friend, Zac Johnson, a white male, in the process. But to Blue, this negativity is only ignorant, stupid, and not worth her time. “People are just sort of taking it as if I’m only doing [the documentary] for college. With no information on it at all, people started accusing me of preaching on how to be racially aware as if I didn’t have any experience,” said Johnson, a junior at East Chapel Hill High. Overall, Blue is very excited to move forward with her documentary, and has big plans for the future. She has decided to start publicizing the documentary as soon as she can. Blue and her group believe that this documentary is important for people of all ages, races, genders, etc. to see. “Everyone. This is for everyone, because there’s something we all can do to fix this [injustice],” said Blue. The most important thing is that we as people try to make sure that everyone has equal opportunities. In our school district, it’s not like that,” said Blue.